Netflix lets you to binge on TV shows via Post-Play. It queues up the next show while credits from the current one are playing. Here’s how to disable it. Once you start a series like Breaking Bad or Netflix’s own House of Cards, it’s easy to get sucked into binge mode. Especially since the revamp of the Netflix interface which now has a feature called Post-Play. It queues up the next episode of whatever you’re watching. By default it does check to make sure you’re still awake and watching periodically after a couple of episodes, too, by making you confirm you’re still watching. If you really want to binge out on your shows, just leave the setting how it is. But, if you want to disable the Post-Play feature, you can. Just head to your account settings on your PC or Mac and select Playback Settings. I recommend using a computer as some devices don’t let you change settings like the Roku. 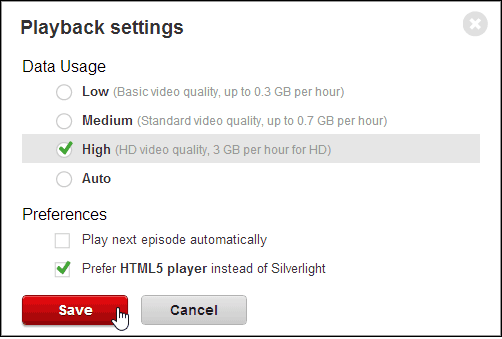 Then uncheck “Play next episode automatically” and save your change. You’ll still see the details about the next episode during the credits screen – like the image above — but it won’t automatically play the next one on is own. That is useless. The problem with being asked all the time I having to click on yes on it every few episodes. Your solution is worse. 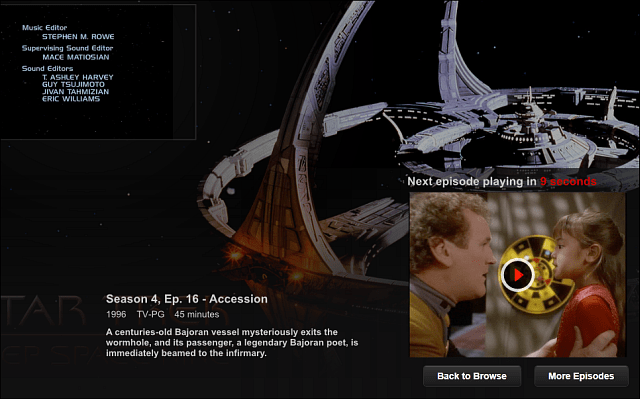 Instead having to click on something every few episodes now iw1ould have to do it every episode. It is nice to have netflix going and do stuff around the house without having to change the episode every time. That is why I like auto play. 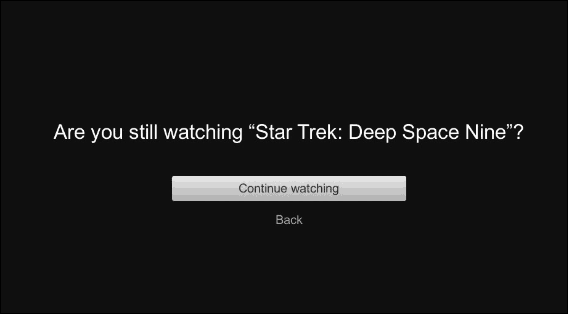 It is a slight inconvenience to have to say I am still watching. A bigger inconvenience to stop what I am doing and manually play each episode. I was searching for something unrelated when I found this. It’s funny because I just finished binge watching DS9 (for a second time).